The sunrise this morning was absolutely breath taking. Winter is definitely one of the most beautiful times of the year. I am so grateful that my new home has a view of the sunrise becuase it would definitely be something I would miss terribly. My gran and my mom phoned to check if that I was watching – they both know it is my favourite time of the day and I ask, how can it not be? 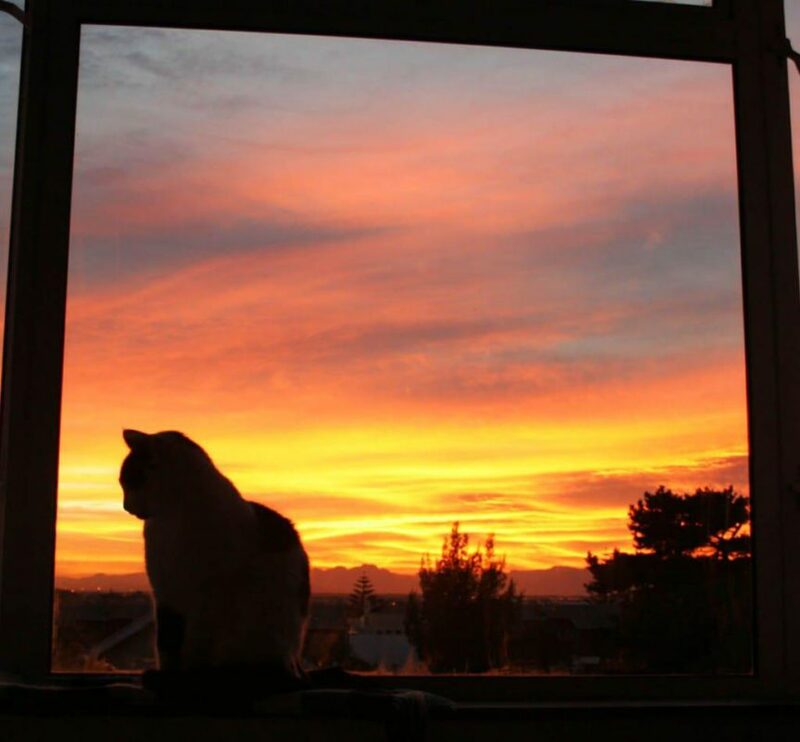 This entry was posted in Blog and tagged cape town sunrise, cat on windowsill, cat silhouette, sunrise. Wow…this looks fantastic! Wonderful start in the day! Beautiful photo. Thank you for sharing this image with us today. It is July in Vermont but it feels like autumn.